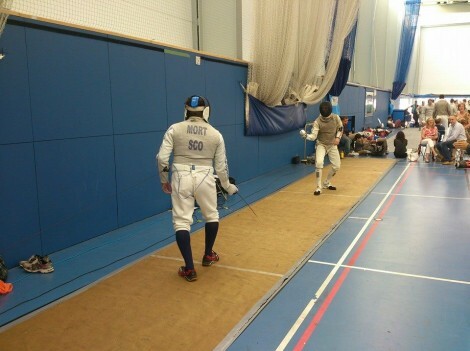 This year’s Bristol Open happened on the weekend of 20th/21st September, and 4 fencers from Saxon fencing club made the journey to compete in the second open of the season. Saxon have made it two weekends in a row with a really big last 16 result. 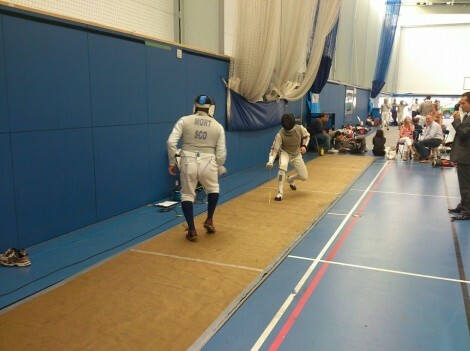 This year the Men’s Foil was one of the events being held in a world cup format where the top 16 before the day were given byes to the last 64, and the further top 16 after the poules were also given byes to the last 64. Everyone else would have to fight for the remaining 32 places to make the last 64 by winning one fight. 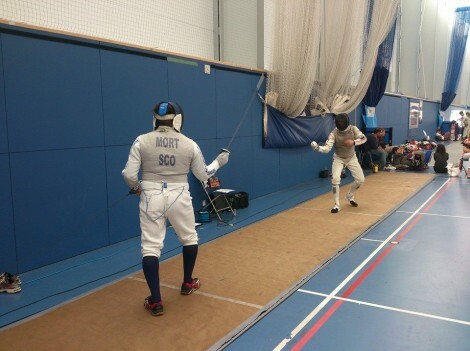 As such, Lagattolla was given a bye with virtue to his rankings and Mollard and Mort were left to fence in the pre-lim round of 64 winning 15-1 and 15-10 respectively. 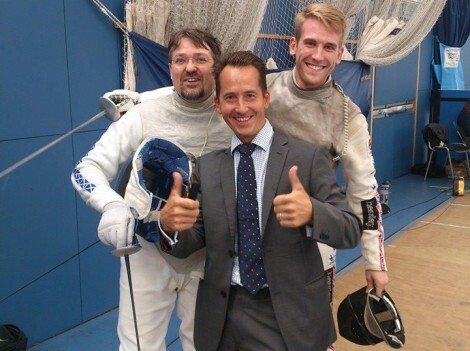 In the last 64, Christopher and Nick were fencing tough opponents. 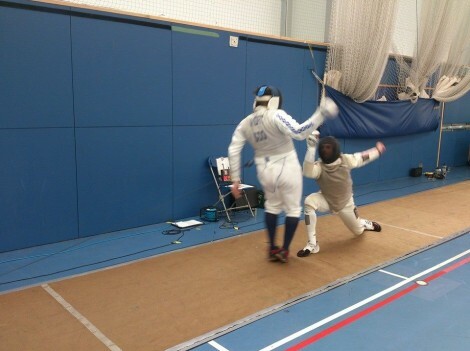 Christopher lost 15-6 to Nicolas Collignon of UCl and Sussex House, whereas Nick came through his encounter with fellow vet Jonathan Weekes of Salle Boston (who was recently selected to represent Northern Ireland at the upcoming Commonwealth Fencing Championships) 15-11. In the last 32 Nick faced a tough opponent in Daniel Feaster, after a lengthy and tough fight Nick prevailed 15-10 to make the last 16. 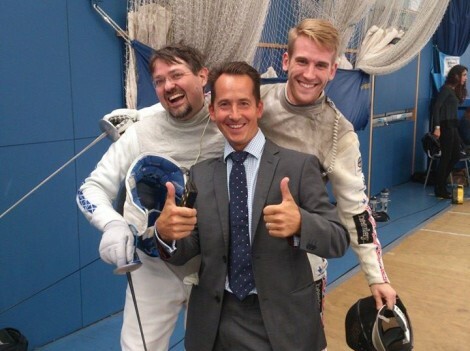 In the last 16 Nick drew his good friend Ben Peggs (British national team member), who was merciless by beating Nick 15-3. 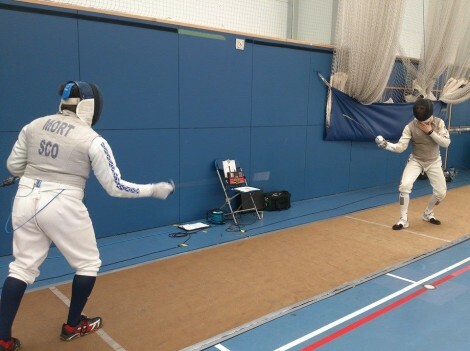 In the Women’s Sabre, Patrycja was the only Saxon representative and made the last 32!